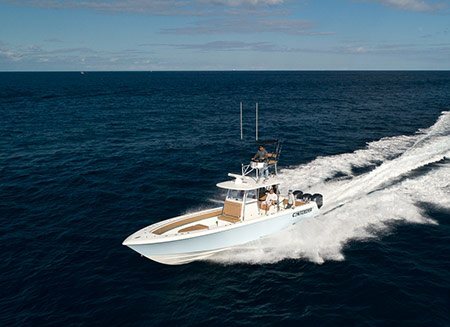 The 30 ST is the faster and more fuel efficient relative of the extremely well respected 30 T.
The 32 ST continues to dominate the offshore scene with aggressive lines that tout an elevated level of confidence. 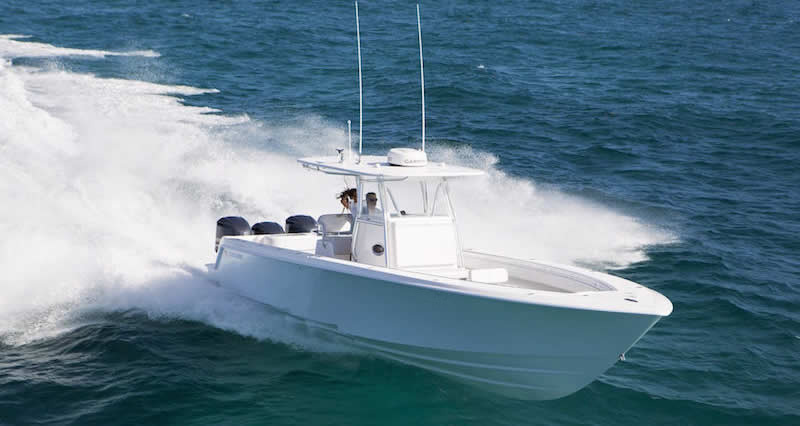 The 35 ST continues to dominate the offshore scene with aggressive lines that tout an elevated level of confidence. It is the boat true, die-hard fishermen dream of. 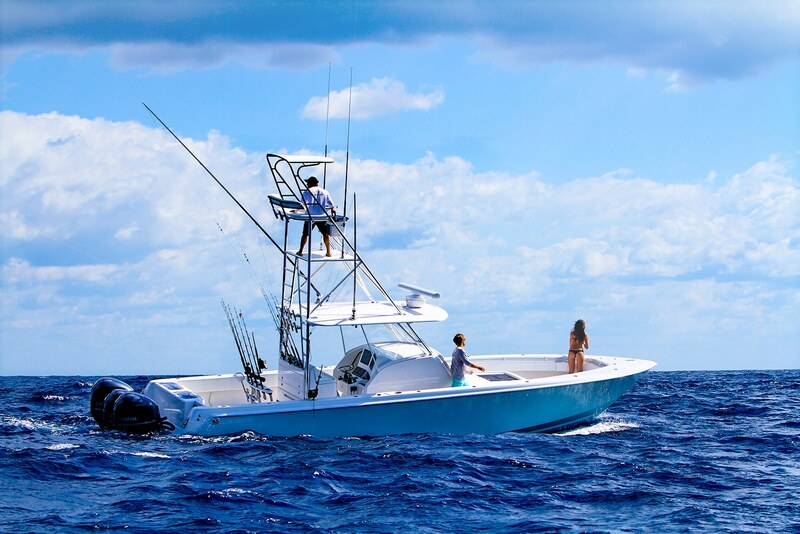 The boat that has but one reason to exist: to help you catch the kind of fish that win tournaments, plain and simple. 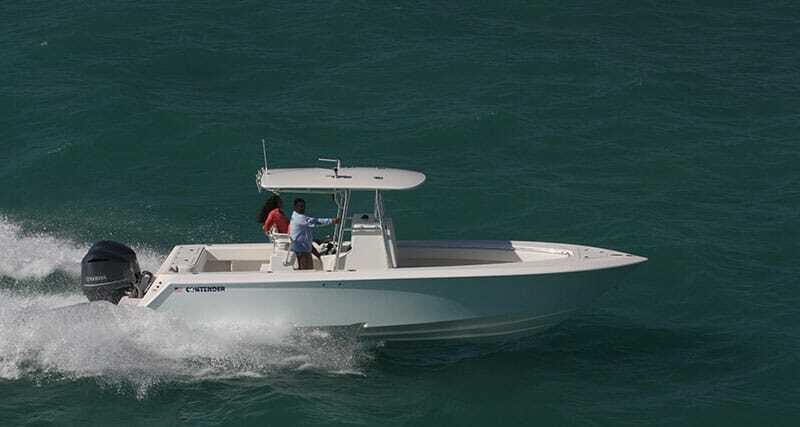 When you think of a multi-purpose boat, you are picturing the 24 Sport. 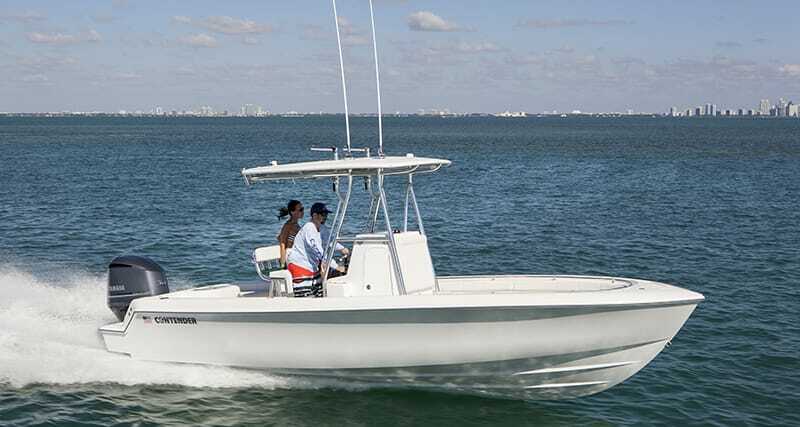 This boat appeases to family boaters and anglers alike. 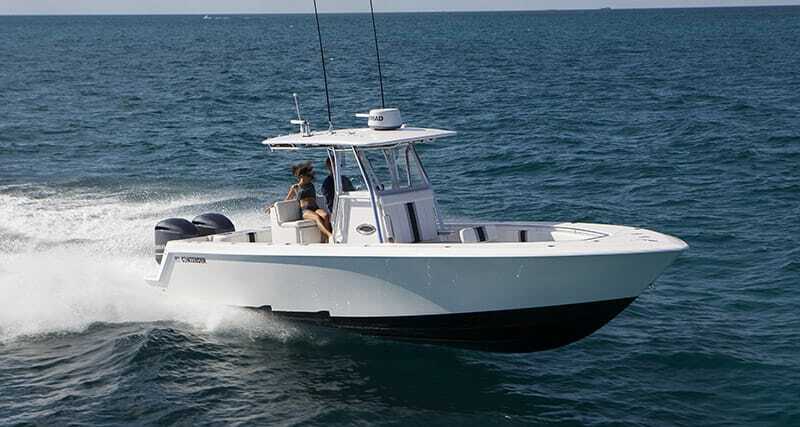 The 28S incorporates a host of features that will appeal to serious anglers and pleasure boaters alike. 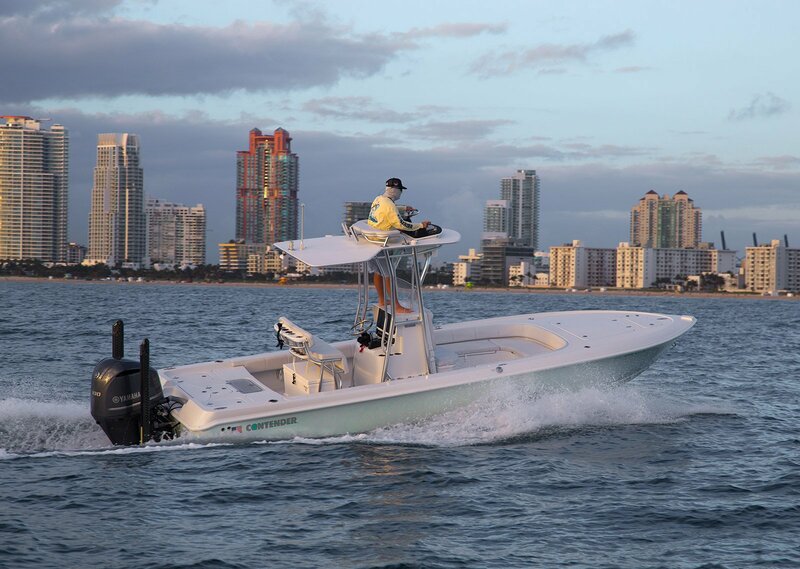 Biscayne Bay is the perfect testing grounds for the perfect Bay Boat. The power to go offshore, with the flexibility of staying in the bay. Check out the 25′ Bay and other Bay Boat Options! Tournament fishermen know that mother nature doesn’t plan for fishing tournaments. 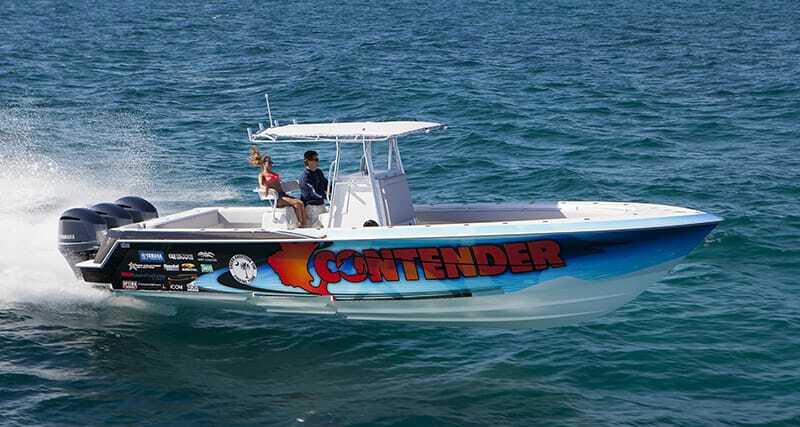 Those big wind days with big money on the line call for big boats that can handle tournament conditions. If there’s one thing we’ve proven, it’s this: you don’t have to be around a long time to be considered a legend. 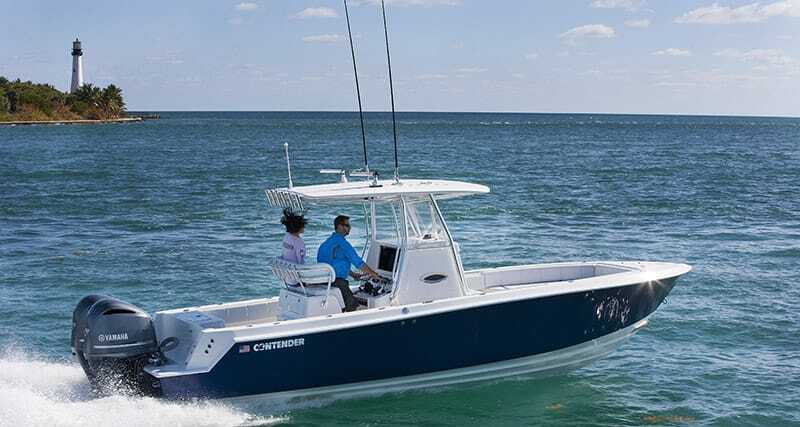 Sport series Contender boats in a variety of sizes. Have some questions about a Contender? Head over to out Support page to Contact Customer Support, or to check out our brochures, Manuals, tech specs, performance bulletins and more!. Find a dealer now and get your dream boat! Send us your contact information and a Contender representative will match you with the closest dealer. Head over to KLUCH.COM for official Contender apparel.